A good portion of these decorative stones had turned chalky white with calcium deposit buildup. We sandblasted the stone to remove the calcium deposit buildup, restoring the beautiful, natural appearance. 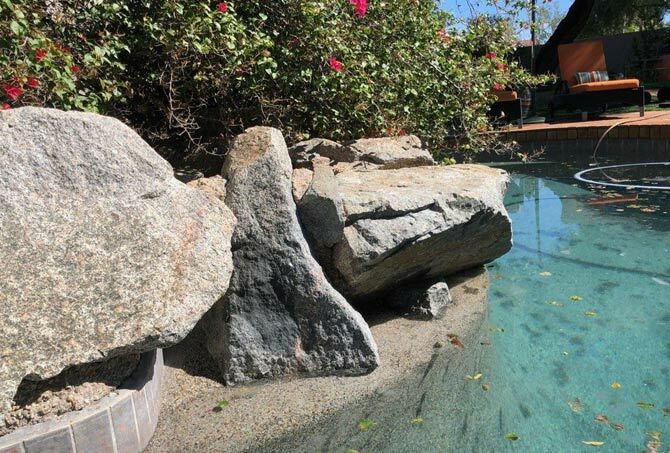 Phoenix homeowners contacted us because their back yard oasis needed some professional attention. 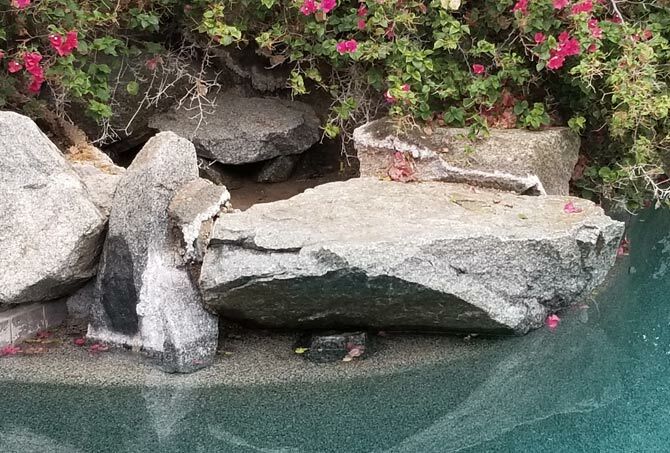 Several decorative stones in the pool area had severe calcium deposit buildup. The natural color of the stone was buried underneath a white, chalky coating, which was not only unsightly, but the potential cause of future premature deterioration. We used a special technique called sand media blasting to successfully remove the stubborn calcium deposits. The process involved using compressed air and a very fine grit blasting media aimed at the surface of the stone to effectively remove the contaminants on the surface without damaging the stone itself. The homeowner’s were very pleased with the way we restored the beautiful, earthy color variation to the stones, as well as the other restoration work we performed. To learn more, visit our Services page. For a FREE estimate on decorative exterior stone cleaning, enhancing, and sealing services throughout the Phoenix, Scottsdale, and Tempe area. Use our contact form or call (602) 993-9800 today.